Multi faceted crystal cup connected by intricate crystal connector to black crystal base. This handsome Victory Cup is perfect piece to honor any victors. 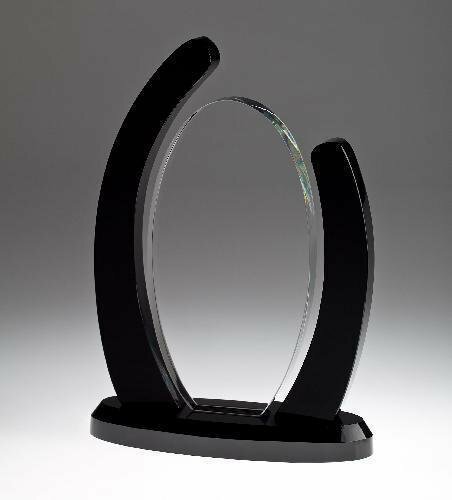 Organic yet structured award with black and clear crystal matched. 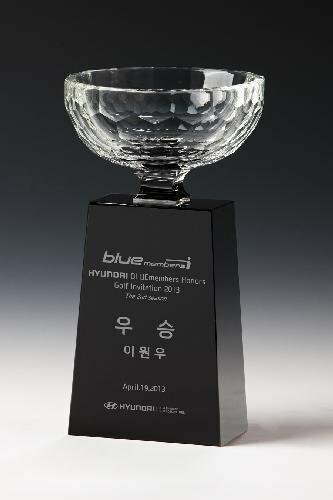 The two arms on each side embody large engraving area to commemorate any accomplishment.